Today is International Translation Day, better known to some as the feast day of St. Jerome, at least among those fond of bread, wine, fish and carpentry. 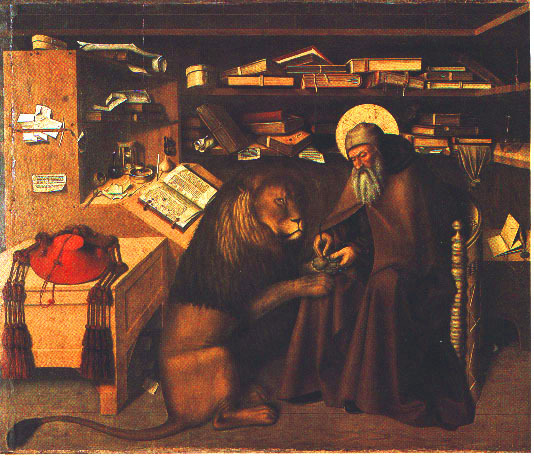 St. Jerome was a Roman translator in the late 4th century. He is best known for having translated the Bible into Latin. As a young man, he enjoyed the typical university lifestyle and felt pretty bad about it. He decided to turn his life around by going to church and was inspired that his religion needed to be translated so he could harass people in shopping centres and airports. "God! I'm so hungover, best translate the Bible..."
He decided to have a bit of an extended gap year and travel for a bit, going to Jerusalem and a monastery in Bethlehem, whilst funded by his Roman sugar momma, Paula. 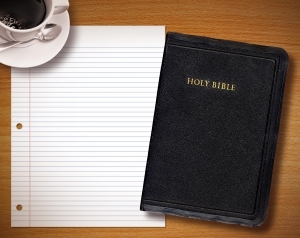 Jerome (or J-Dog to his bros) was adamant that the languages he was translating from made for better Bibles than the most popular edition of the time and, as per usual, Christians were incredibly open-minded and didn't have any problems with Jerome's decision to go against the status quo. You're not a real translator unless you have lions in your office. Regardless of whether or not Jerome was a good translator, a bad translator, or simply a player with a fondness for travelling, he is the patron saint of translators and shares his day with that of all translators across the world. We know them as the awesome people who work out what stuff means in different languages and have been instrumental in linking cultures and bringing the world to our doorsteps. Here's to you, you magnificent linguists!